Ruhaan Rajput, a multi- talented young actor bagged an award at the recently concluded Mid- day Young Achiever Icons Award 2018. The event took place at the Grand Hyatt, Mumbai. 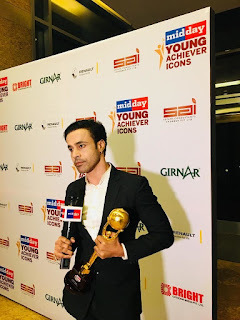 The award was presented to him in the film and television category for his work in the industry in a short span of time by Ms Amruta Fadnavis, Maharashtra Chief Minister Devendra Fadnavis' wife. 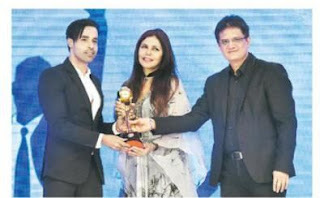 These awards are hosted every year by Midday to recognize youngsters who are doing commendable work in their respective fields and aims to inspire them to work with the same enthusiasm in the future. Ruhaan Rajput made a debut in the industry with Pravat Rout’s film Prarabdh followed by three music albums- ‘Moabbataiyan’, ‘Khidaki ka parda’ and ‘Saiyan re’. Also, he has been on board for a new Hindi movie called “Ginti Shuru” produced by Arvind Singh under Angels production. Ruhaan has started the shooting for this already.